« A Quick Production Update…. Performed and recorded by Bryan Helm. All rights reserved by the artist. Tracks 1, 2 and 6 contain samples of recorded works by other artists, used here without permission. For more information please visit at-the-helm.us and follow the links. Thanks for listening, next show is all talk and will cover aspects of information from all the music only shows and a couple of other things , so please do tune in. 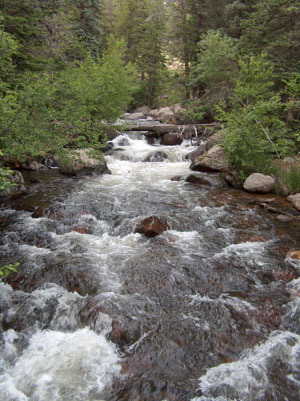 Photo from RMNP looking upstream circa 2006.